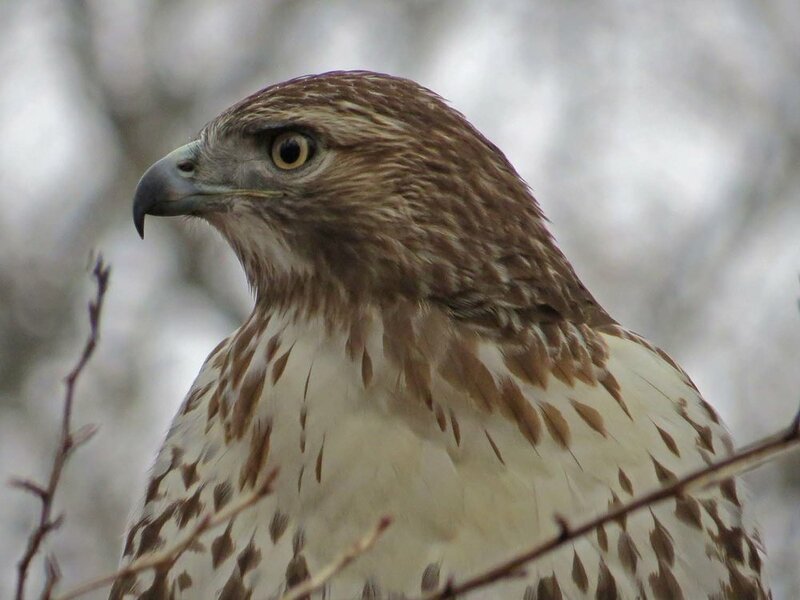 Part 5 of the Hawky New Year! 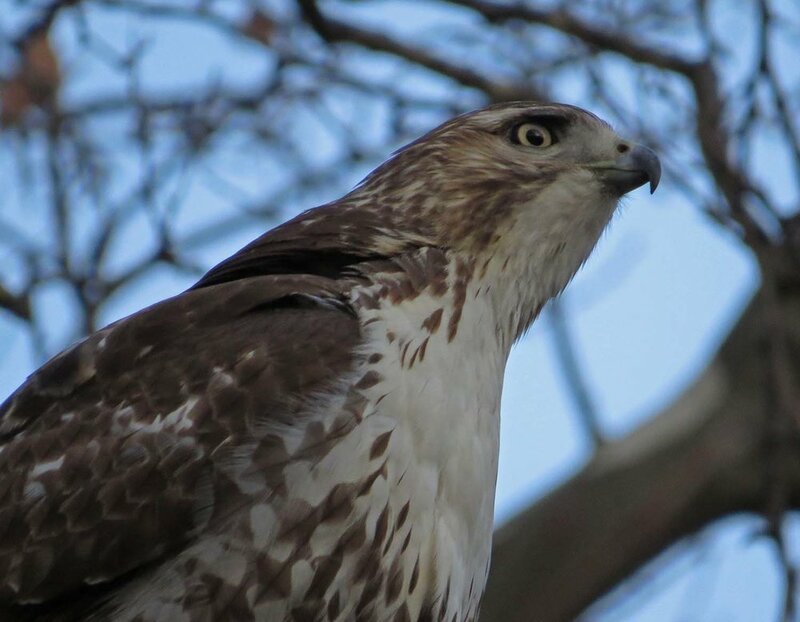 series features one adult and some first-year red-tailed hawks visiting Central Park on Jan. 16 and 17. 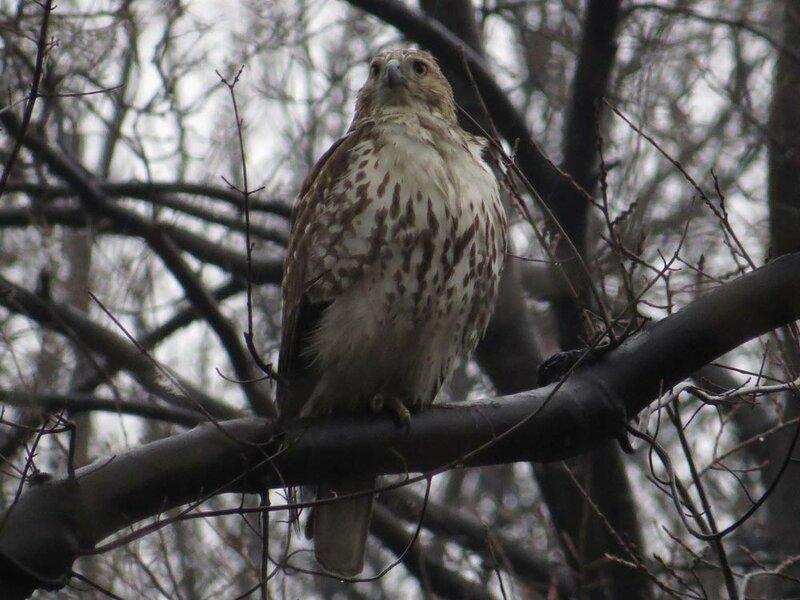 Jan. 17 was a rainy day, and one of the young hawks, after chasing some squirrels, ended up wet with feathers sticking out. 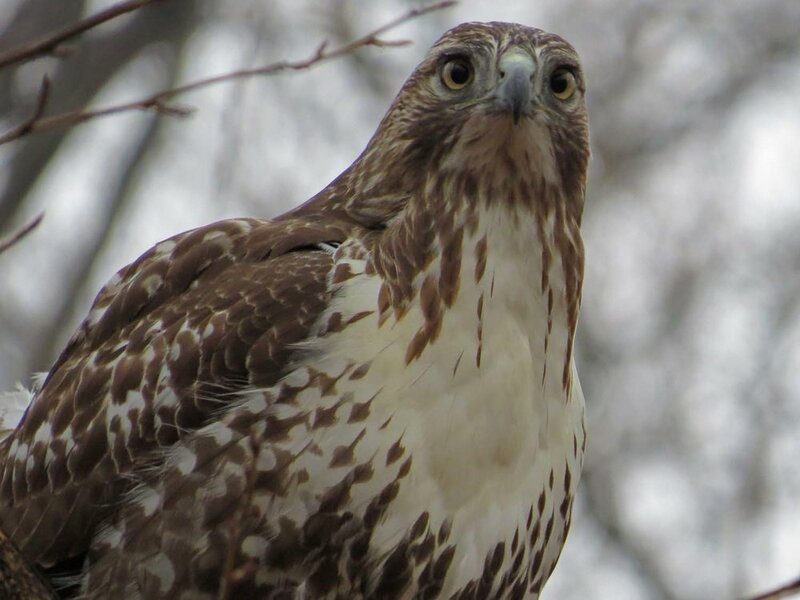 The video for these two days features hawks flying around and chasing squirrels, but no graphic hawk dining. So a violence-free Part 5. 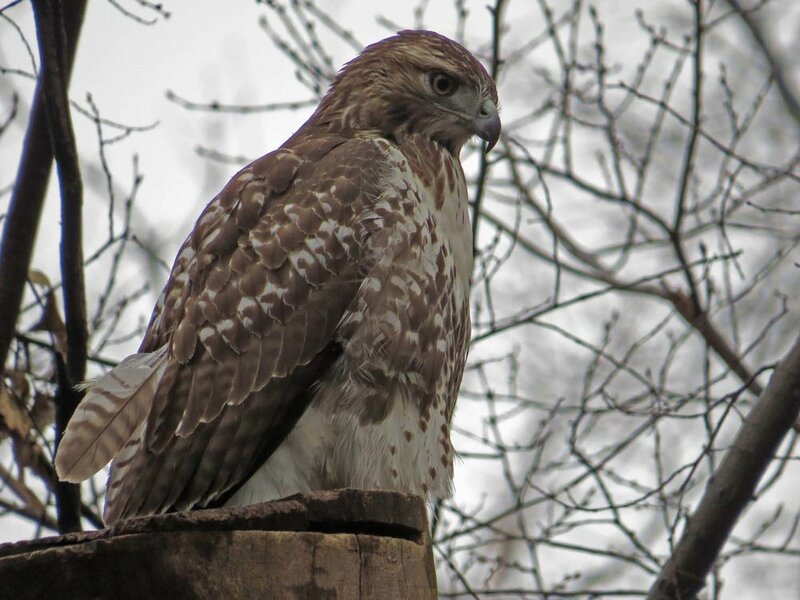 The light wasn't great on either day, but I did manage to get some nice photos of our fearless feathered friends. This first grouping is from Jan. 16. 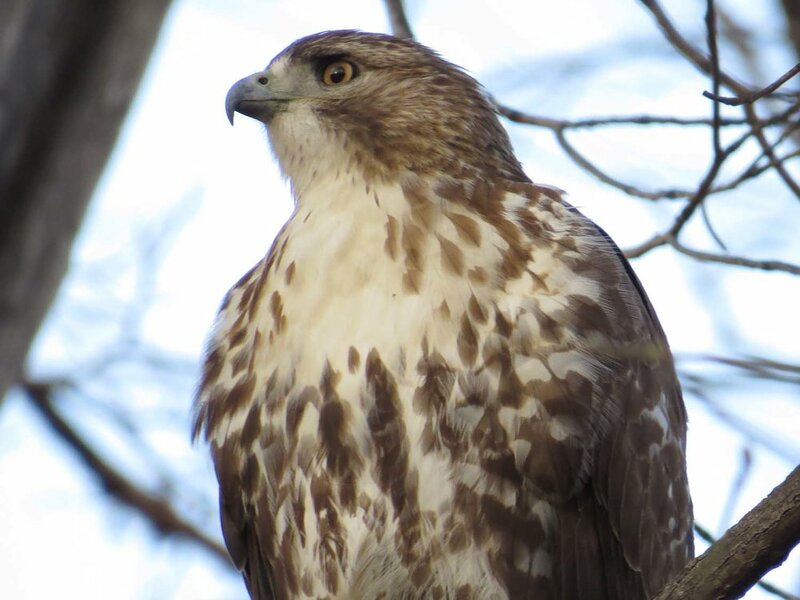 Hawk No. 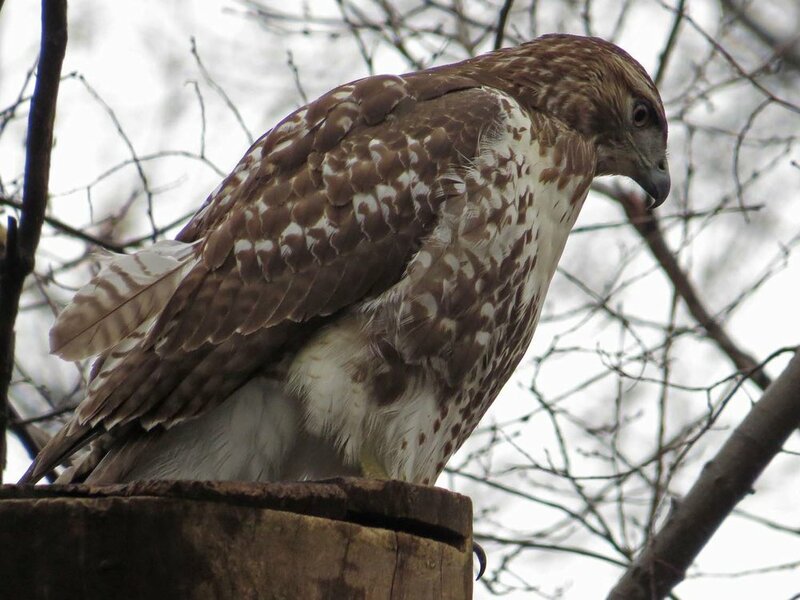 1 was over Strawberry Fields when I first walked into the park, an adult showing the red tail. 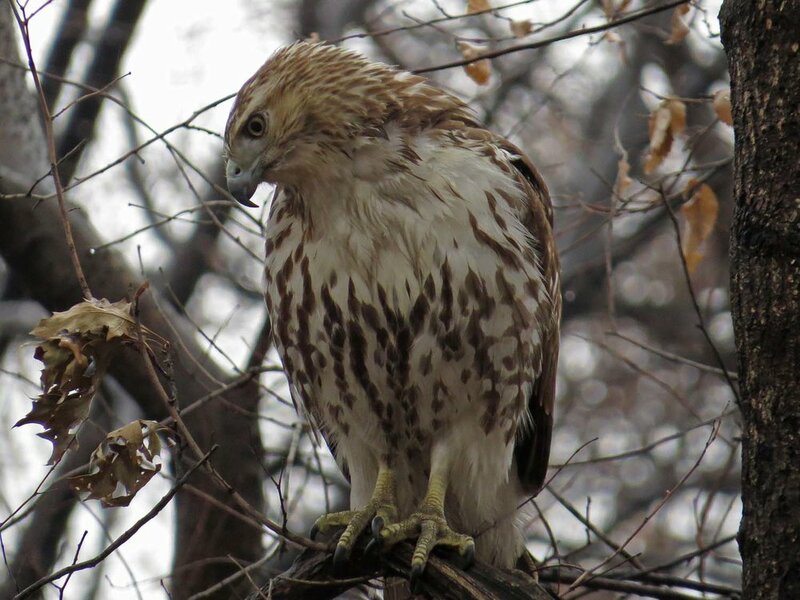 It was probably Ginger, of the Beresford Hawks. These photos are from Jan. 17, including a photo showing two youngsters at the Oven.